For Sugar Manufacturer, Candy Production, Sugar Factories, Sweet Industries and Sugar Mills. 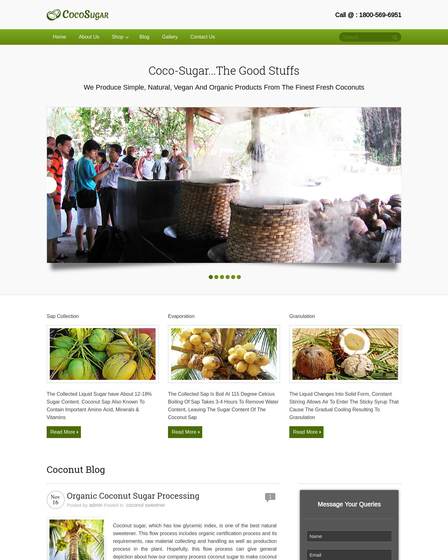 SugarCane is a clean and fast loading WordPress theme carefully crafted for sugar production house. You can classify all your sugar products like sugar crystals, candy sugar , molasses sugar, caster sugar, icing sugar, sugar cubes, etc. 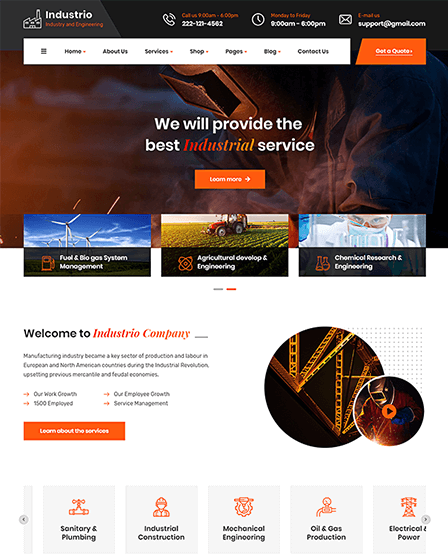 The theme gives you complete freedom to customize website layout for sugar manufacturer, candy production, sugar factories, sweet industries and for sugar mills. 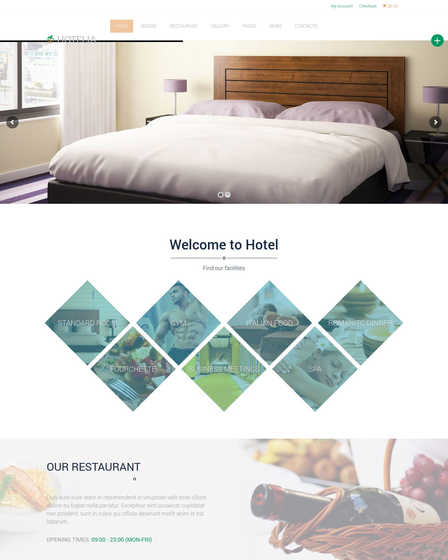 Its modern one-page style theme can be used to expose your sugar products and production services in a single page. Also, you can share sugar production tips and news by the homepage blog section. 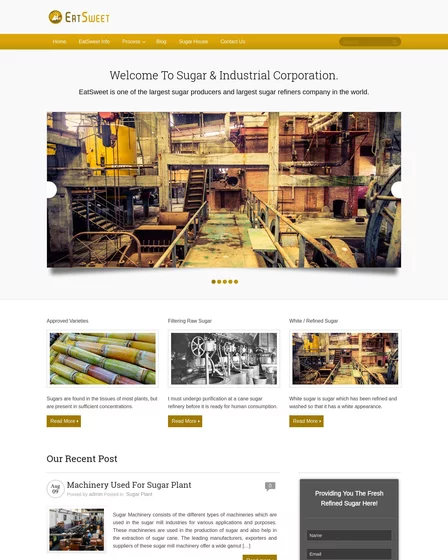 Showcase the key aspects of your sugar mill like sugar production, business trends, corporate objectives, functions and goals with full width slider section. Describe your factories major thrusts like regulatory services, production support, policy and information support services and also mention the various industrial services you offer in the 4 column feature area. Start a blog for sugar products or help people by sharing tips on sugar production. A blog can engage your potential clients and offer your industrial services to clients through there. 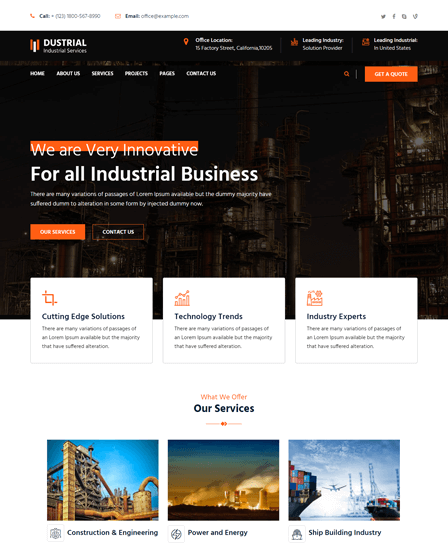 The theme includes hexagonal gallery sectional area with parallax scrolling which can be used to showcase images of your sugar products, factories, production area and manufacturing process.